Be a part of our Legacy Society, by supporting our Riverside County seniors through a will, trust, designation or other planned gift. Legacy Society members often have a personal connection with Meals on Wheels and wish to see our wonderful work continue within the community for decades to come. All too often, meaningful planned giving gifts go unrecognized because they come at the end of the donors’ lives. Forward-thinking donors have the ability to plan a legacy gift, regardless of current assets or income. Legacy gifts will be recognized through our Legacy Society membership list. 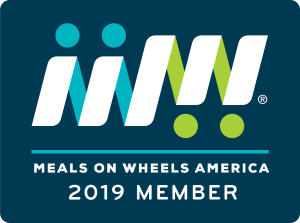 If you have already included, or intend to include Meals on Wheels Riverside in your will, trust or other planned gift, please notify us so we may honor you as a member. It is our greatest pleasure to recognize and thank all donors during their lifetimes. Should you wish to have your planned gift go unrecognized, we will also honor this request. Additionally, a gift made “in honor of” a family member, or individual, will also be accommodated. Please contact Executive Director, Janice Bielman, at JBielman@RiversideMOW.org for more information on planned giving.